Here's a good story in the LA Times about Ed and Pixar's reinvigoration of Disney Animation. Indeed! That is a good article! 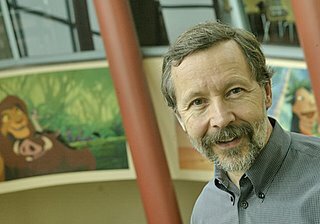 Pixar people frequently recite Ed-isms — Catmull's oft-repeated theories that inform how he operates and, by extension, how the studio is run. Do you recite Ed-isms Victor? Wonderful! It's always inspiring to read about people who promote unhindered individuality and artistic originality. In an industry often fixated on finding a formula that works and sticking to it, it's a very refreshing sentiment. I can't wait to see where Disney goes over the coming years.